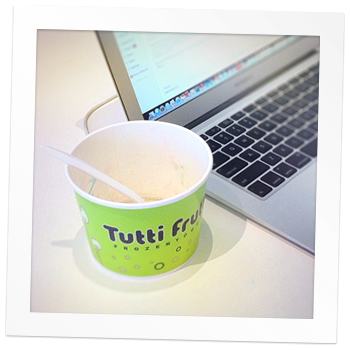 I write this blog as I eat a delicious tub of Tutti Frutti – a craving brought on by the most recent post on their Facebook and I am not alone. Five of us are currently munching on our own personal combination of flavoured yogurt and toppings. Delicious! It was back in 2010 was when our team first wrote a blog on Facebook advertising called “Facebook Advertising: is it worthwhile?“. We thought it was time to revisit this topic as we find ourselves being asked this question very regularly and we all know that Facebook and Twitter are playing more of a role in our daily lives – particularly with the rise in smartphones. We believe that for many clients, particularly those in retail, Facebook advertising is extremely effective. We have clients in a mix of industries and are fortunate to be involved a real mix of campaigns, offerings and marketing plans. Those that have found the budget to put towards Facebook advertising (even if it is only $100) seem to have managed to gain more measurable reach than those who haven’t. If the ads are combined with a social campaign, offering such as a discount or freebie, even better! Much like ‘old school’ advertising, the contents can be as simple or really creative as you like and the contents of the ‘advert’ needs to be well executed to be effective.